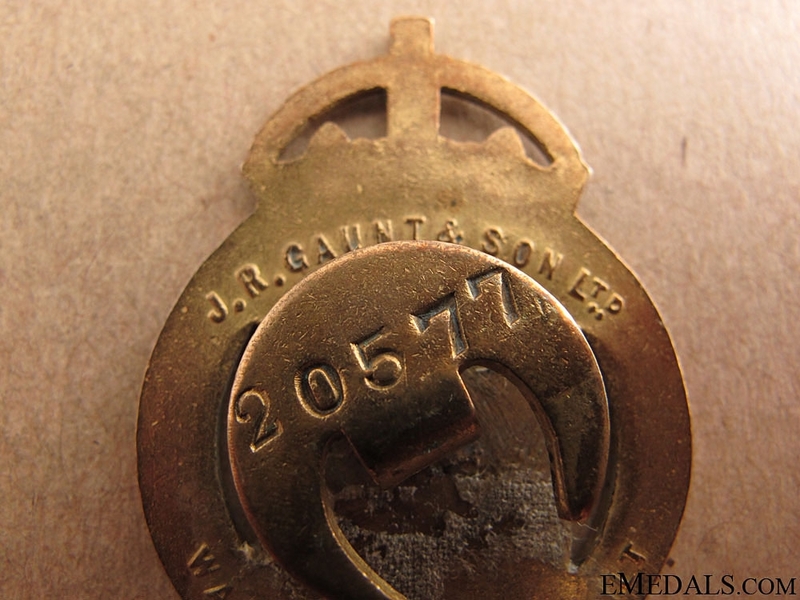 WWI War Munition Volunteer Badge, 1916-1918 - Brass, maker marked "J.R. GAUNT & SON Ltd" and marked "WARRANTED FIRE GILT" on the reverse, numbered "20577" on the buttonhole attachment, very crisp detail, 31.5 mm x 44.5 mm, light contact, near extremely fine. Footnote: This badge was issued by the Ministry of Munitions (MoM), to identify persons considered necessary for war work. 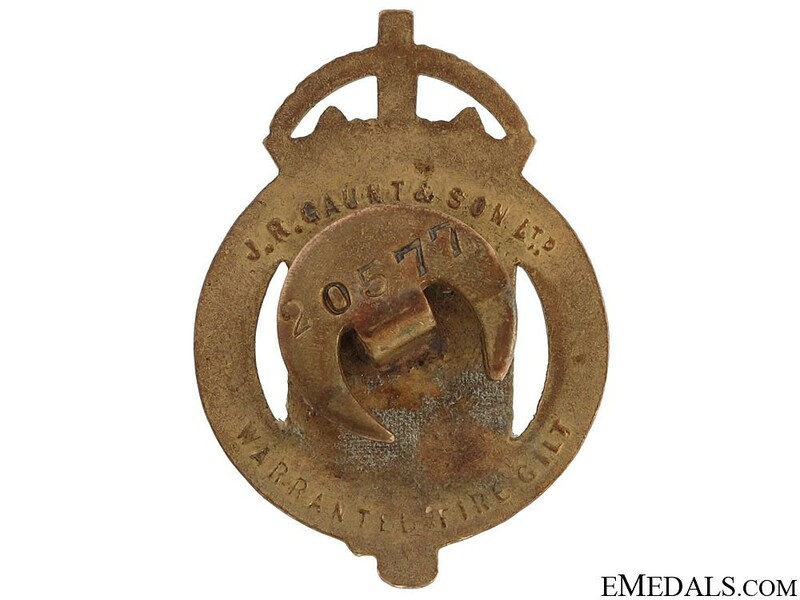 The badge also identified the wearer as being exempt from call-up to active service. 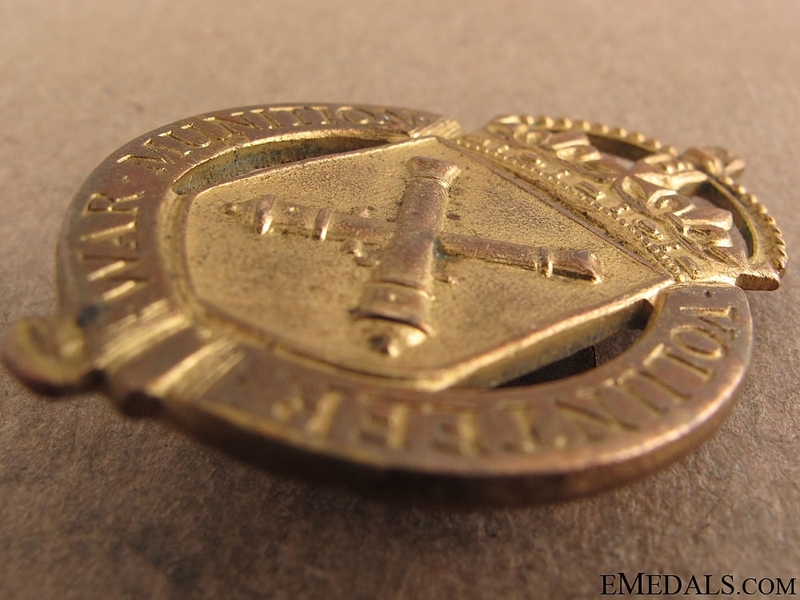 All war worker badges were tightly regulated and controlled with each one individually numbered and issued with a personal certificate. War worker badges were requested by companies from the MoM and in turn would present the badge to their individual employees. 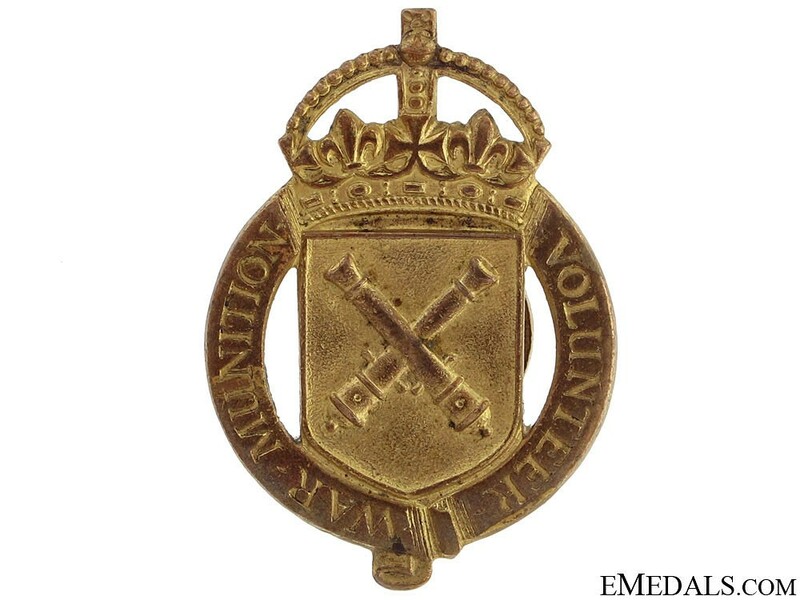 This War Munition Volunteer badge was in use from 1916 and intended for skilled men not already allocated to other "vital" war work. After the war ended there was no apparent attempt to call in the war service badges.